Spirit of Soccer's main objective is to use soccer – the world’s most popular sport - to educate children living in conflict and post-conflict regions about the dangers of landmines, unexploded ordnance (UXO) and other Explosive Remnants of War (ERW). 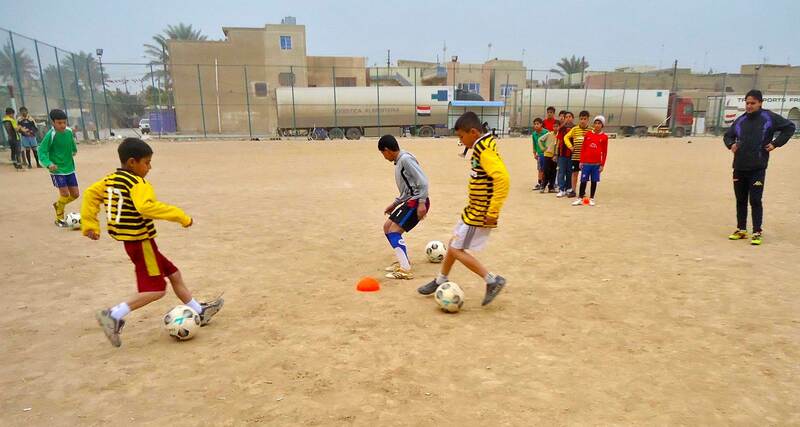 We educate, train and employ local soccer coaches and teachers how to deliver our curriculum, which uses easy-to-understand lessons related to soccer to teach children how to identify and avoid specific ERW threats they face in their communities. We support these programs through the provision of materials, such as soccer balls, jerseys, posters and schoolbooks, branded with MRE messages and featuring top international and local soccer stars to promote message retention. Our approach is culturally-sensitive and adapted for local cultural, religious and social needs. Our focus is on a fun, safe environment which is inclusive to all and provides healthy physical activity, hope and happiness.